A particularly lovely plant I have in the front garden is Dicentra Spectabilis, also known as “Bleeding Hearts” and “Dutchman’s Breeches”. Despite the bizarre common names, it is a very graceful and delicate herbaceous sub-shrub that has pink and white heart-shaped flowers, the likes of which most people have never seen. Its foliage is lush green and fern-like, it loves cool shade. It is another one of my favourite plants that I have an irrational attachment to. So it was a great deal of anxiety, nervousness and nausea that I took the garden spade to it, dug it all up and then proceeded to hack the crown of the plant into pieces with a blunt knife just as the first new shoots were appearing – it was like something out of a horror film. Digging up plants and dividing the crown to produce more plants is of course, very common and a great way to get more plants at the best price (free), but as it is a plant that I hold rather dear, treating it this way felt deeply inappropriate. 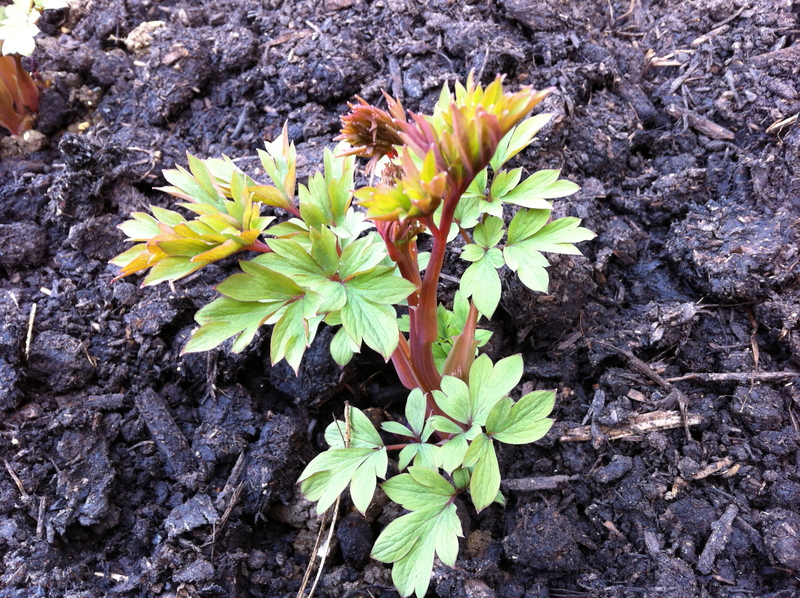 However, I can very happily report that whereas I previously had one dicentra, I now have three strong-looking plants. I will need to ensure they’re kept well watered as they grow to give them the best chance of re-establishing.